. 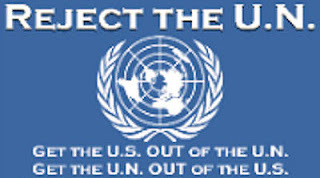 . . And finally, let's consider the greatest challenge facing America – and facing the entire civilized world: the threat of violent, radical Jihad. In one wing of the world of Islam, there is a conviction that all governments should be destroyed and replaced by a religious caliphate. These Jihadists will battle any form of democracy. To them, democracy is blasphemous for it says that citizens, not God shape the law. They find the idea of human equality to be offensive. They hate everything we believe about freedom just as we hate everything they believe about radical Jihad. To battle this threat, we have sent the most courageous and brave soldiers in the world. But their numbers have been depleted by the Clinton years when troops were reduced by 500,000, when 80 ships were retired from the Navy, and when our human intelligence was slashed by 25%. We were told that we were getting a peace dividend. We got the dividend, but we didn't get the peace. In the face of evil in radical Jihad and given the inevitable military ambitions of China, we must act to rebuild our military might – raise military spending to 4% of our GDP, purchase the most modern armament, re-shape our fighting forces for the asymmetric demands we now face, and give the veterans the care they deserve. Even though we face an uphill fight, I know that many in this room are fully behind my campaign. You are with me all the way to the convention. Fight on, just like Ronald Reagan did in 1976. But there is an important difference from 1976: today, we are a nation at war. "And Barack and Hillary have made their intentions clear regarding Iraq and the war on terror. They would retreat and declare defeat. And the consequence of that would be devastating. It would mean attacks on America, launched from safe havens that make Afghanistan under the Taliban look like child's play. About this, I have no doubt. This is not an easy decision for me. I hate to lose. My family, my friends and our supporters – many of you right here in this room – have given a great deal to get me where I have a shot at becoming President. If this were only about me, I would go on. But I entered this race because I love America, and because I love America, I feel I must now stand aside, for our party and for our country. I will continue to stand for conservative principles. I will fight alongside you for all the things we believe in. And one of those things is that we cannot allow the next President of the United States to retreat in the face evil extremism. It is the common task of each generation – and the burden of liberty – to preserve this country, expand its freedoms and renew its spirit so that its noble past is prologue to its glorious future. To this task, accepting this burden, we are all dedicated, and I firmly believe, by the providence of the Almighty, that we will succeed beyond our fondest hope. America must remain, as it has always been, the hope of the Earth. "Thank you, and God bless America." 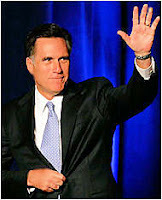 Tags: Election 2008, Mitt Romney, presidential candidate To share or post to your site, click on "Post Link". Please mention / link to the ARRA News Service. Thanks!